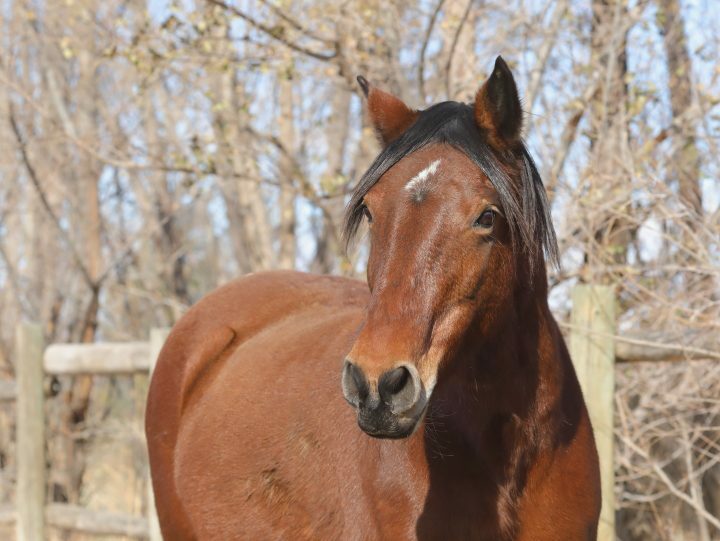 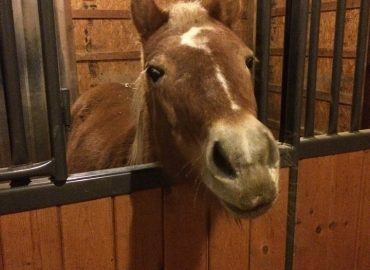 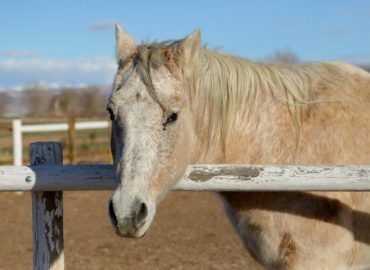 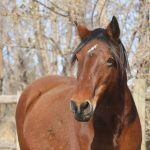 Hope arrived at our facility with an older mare thought to be her mother. 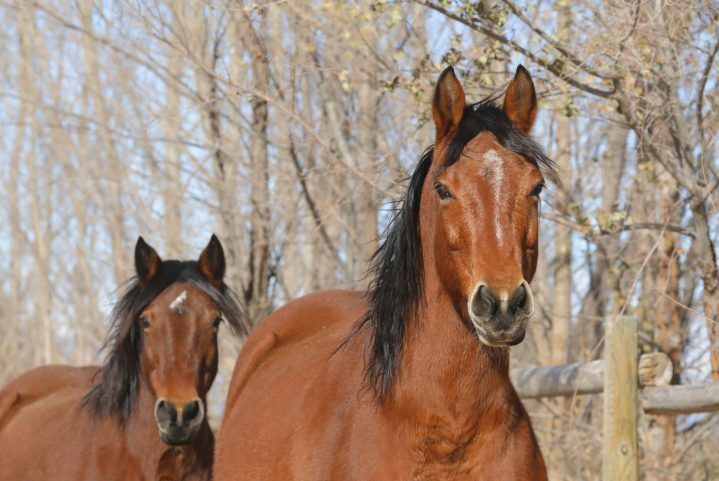 Both were pregnant and had been on their way to slaughter before a kind hearted individual saved them and brought them to us to be rehabilitated and trained. 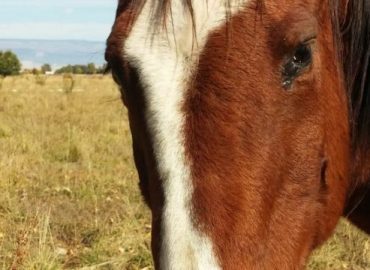 Both were clearly unhandled and the older had a deep indentation in the top of her neck-perhaps an old injury from a rope? 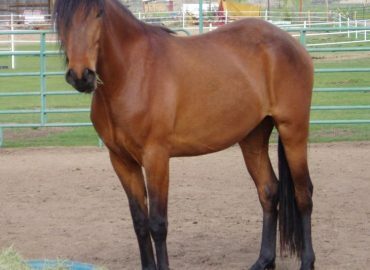 The elder mare was named Faith and the younger Hope. 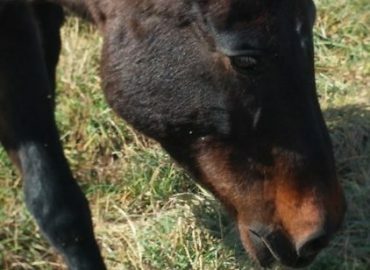 Both mares foaled here but the Faith's foal had fluid in her brain and was euthanized soon after. 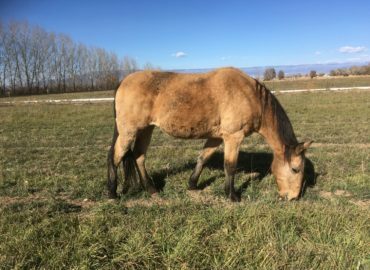 The younger mare's foal however was strong and healthy. 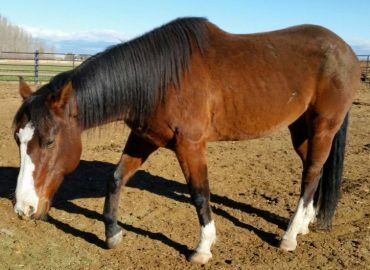 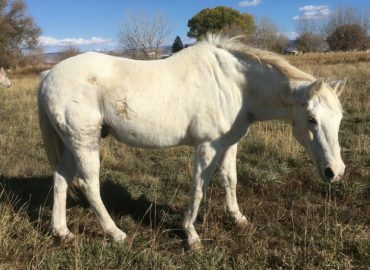 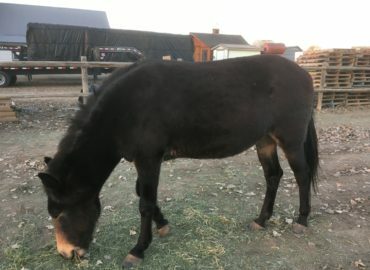 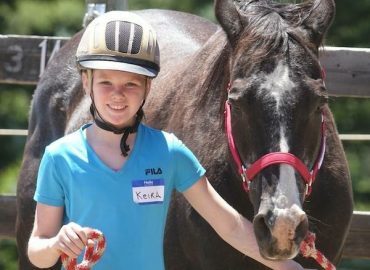 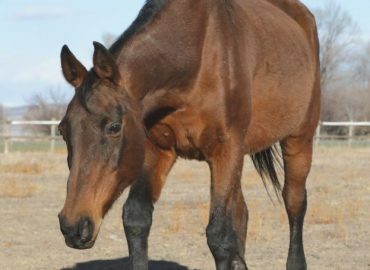 She was named Charity and quickly grew into a wonderful spitfire of a mare. 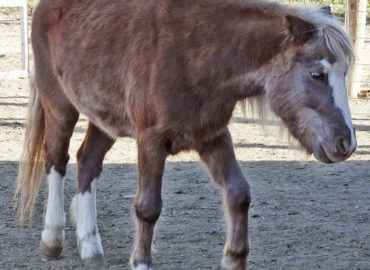 Unlike her baby Hope still struggled to accept people. 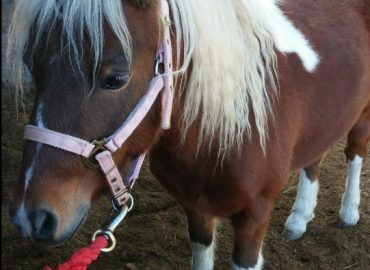 When the trainer who had been working with her left the organization she reverted back to her instinctual fear of people. 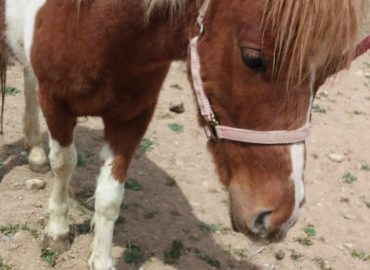 As Charity was weaned off we began Hope's training again in earnest and she is progressing very well. 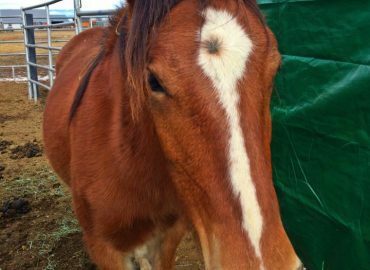 In April of 2016 she had her first vaccination without the help of a squeeze chute! 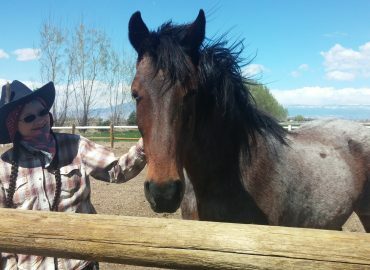 Hope is mostly halter broke and is learning to lead, lunge, give to pressure and have her feet handled. 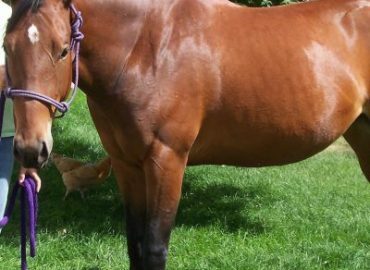 As she build trust and confidence she will continue her ground training and eventually learn how to be ridden. 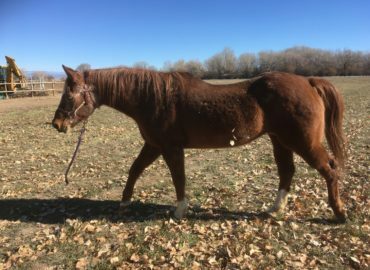 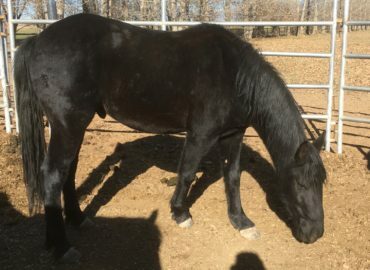 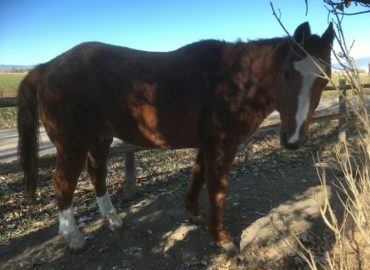 We have had Hope's freeze brand read and the number for her is 03604835 meaning she was foaled in 2003 and her signalment key is HF1ADAABB (right hind pastern, star, bay). 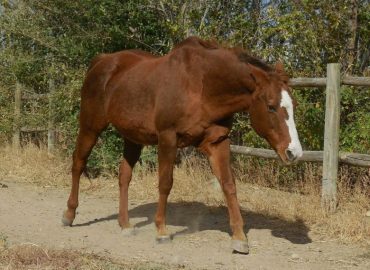 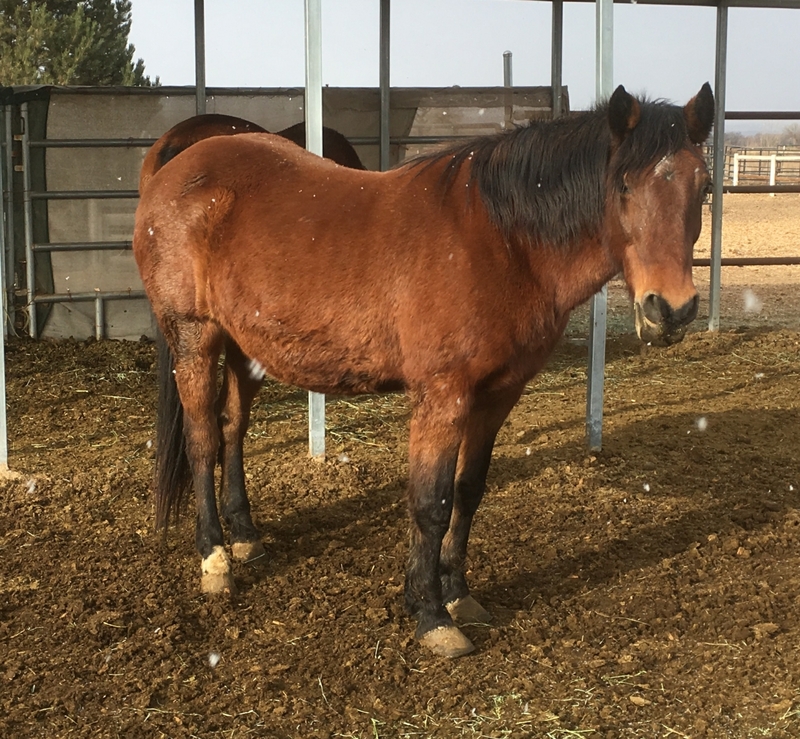 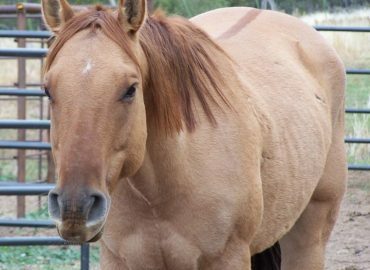 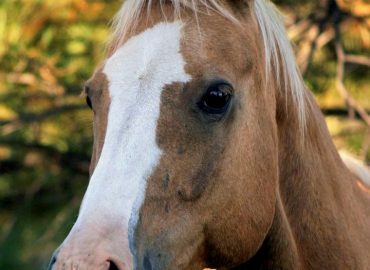 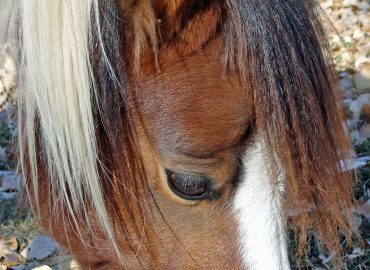 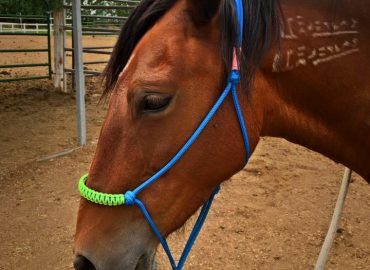 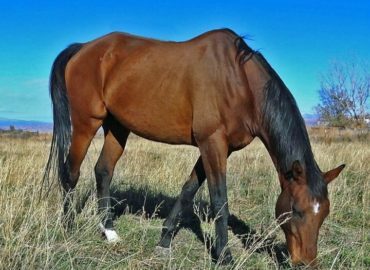 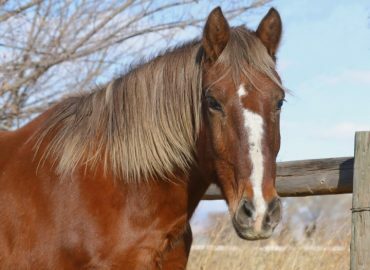 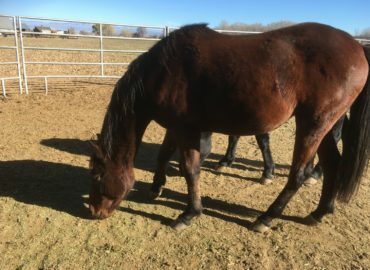 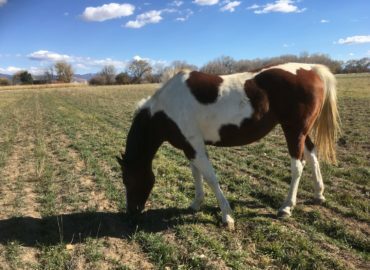 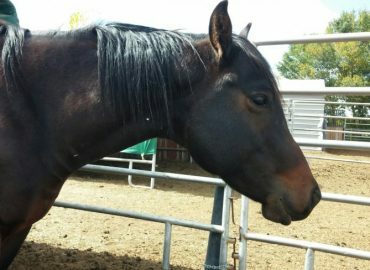 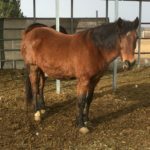 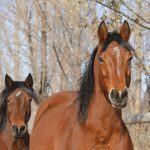 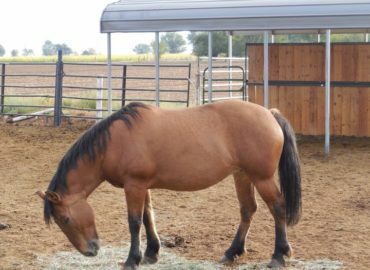 Hope was gathered from the Pine Nut Mountains herd management area in Nevada on 9/17/09. 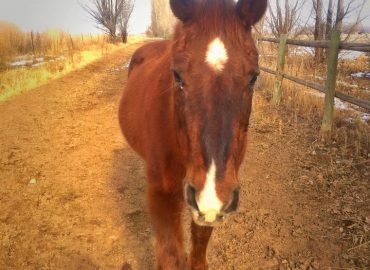 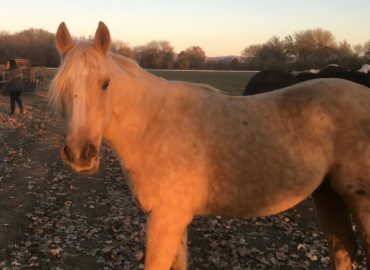 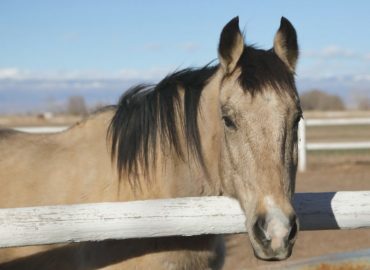 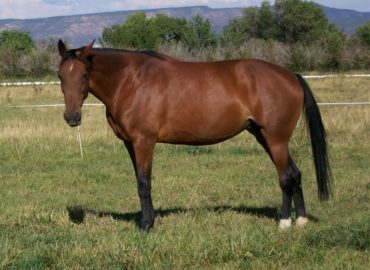 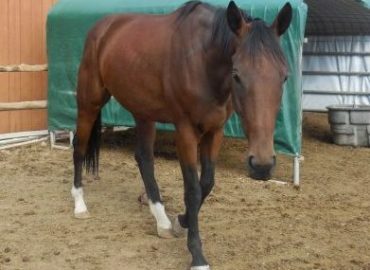 She was adopted from Palomino valley 9/28/09 and titled 11/17/11. 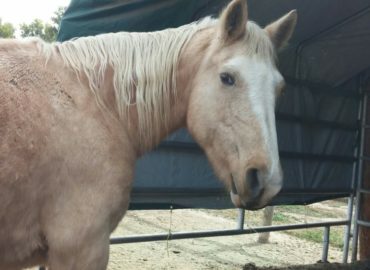 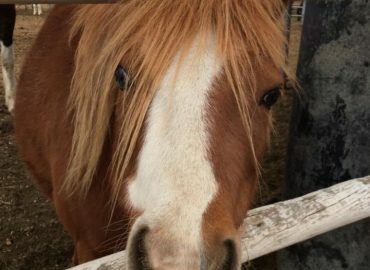 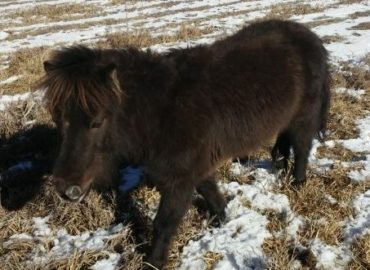 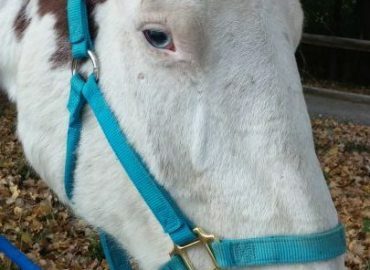 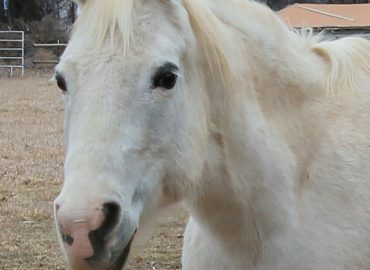 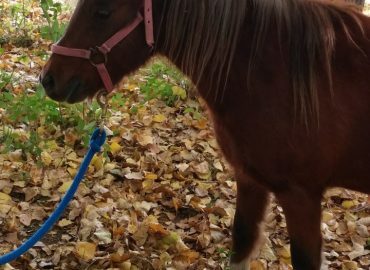 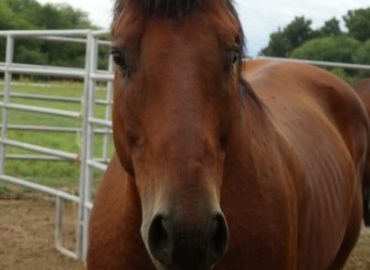 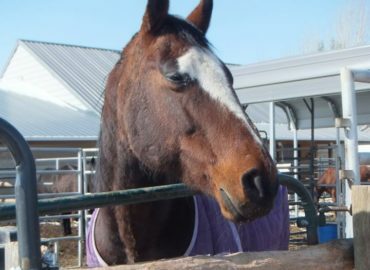 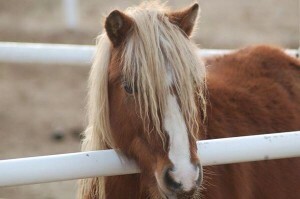 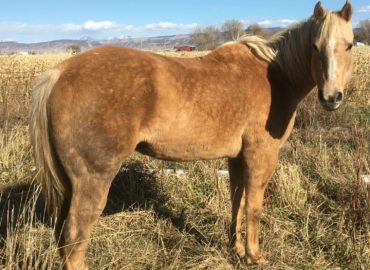 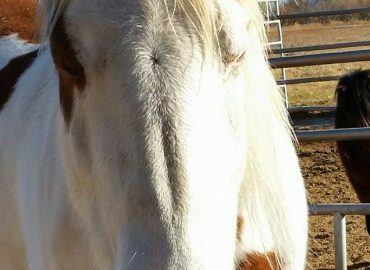 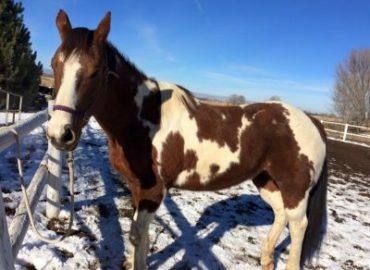 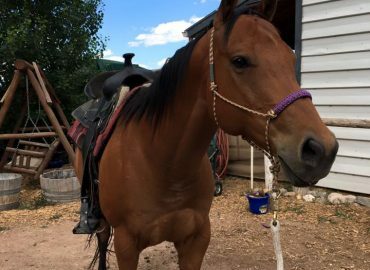 Currently, Hope is up for adoption only to someone with experience handling and training mustangs. 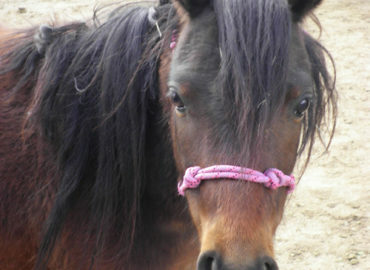 If she is completes her training with us she will be up for adoption under just our regular guidelines.